Why did I decide to teach piano lessons? I love teaching people how to do new things. I love music, especially piano and want to share great musical experiences with others. Chesapeake Avenue Music is the name of my home piano studio located in Silver Spring, Maryland. 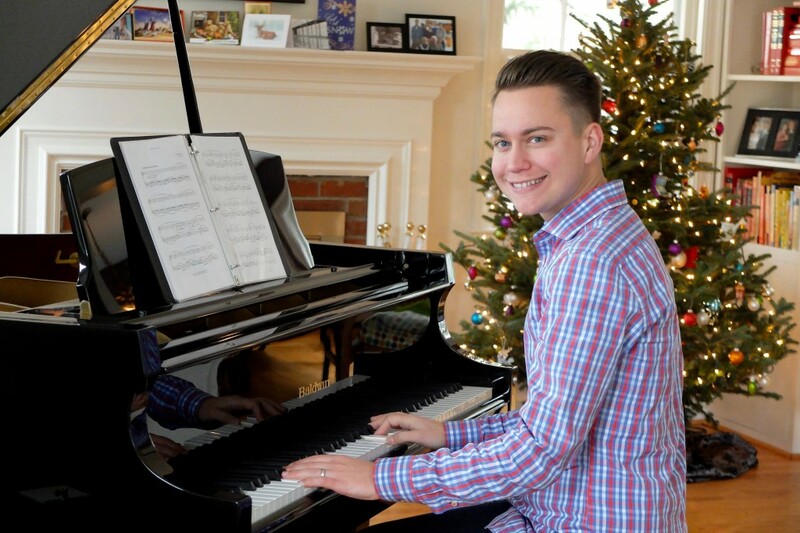 In addition to giving piano lessons, I enjoy accompanying vocalists on the piano, and performing for cocktail parties, holiday parties, weddings, church services, receptions, art exhibition openings, and other special events. I remember first being introduced to music at home by my parents who sang, at church and watching Sesame Street. Some of my first music influencers were Michael W Smith, Celine Dion, Mariah Carey, Seal, Elton John and Ben Folds. I began to take piano lessons when I was five years old. My teacher always made sure lessons were super fun, (with small prizes for practicing) educational, and inspired me to play music that I enjoyed playing. As a teenager, I performed background music, accompanied my Grandfather and parents’ vocal performances, and our church choir. I earned my Bachelor of Arts in Music for Piano Performance from Cornerstone University where I had great professors and piano instructors who taught me how to play classical music and read pop music chord sheets. In college I also had the opportunity to play keyboard in a band performing regularly for chapel service audiences of over 1500 people. I am committed to appealing to a wide range of listeners and musicians, and am willing to work in all genres. I have experience in Classical, Indie, Pop, Rock, Broadway, and Sacred music and enjoy experimenting with new styles. I would love to teach you or your child how to play piano, or perform your favorite music for your upcoming event. Please contact me today to get started.